Yahoo Movies has debuted the first poster for Ted 2, along with news that the first trailer will debut Thursday, January 29. The trailer will debut on the new official website LegalizeTed.com. 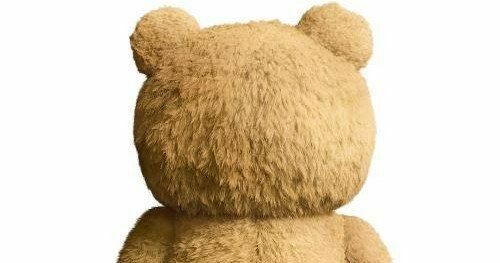 As you can see in the one-sheet below, the sequel is keeping true to the original comedy blockbuster Ted by giving us some crude humor right from the get-go. Seth MacFarlane returns as writer, director and voice star of Ted 2, Universal and Media Rights Capital's follow-up to the highest-grossing original R-rated comedy of all time. Joined once again by star Mark Wahlberg and fellow Ted writers Alec Sulkin & Wellesley Wild, MacFarlane produces the live action/CG-animated comedy alongside Bluegrass Films' Scott Stuber, as well as John Jacobs and Jason Clark. Mila Kunis, Patrick Warburton and Jessica Barth are also set to reprise their Ted roles, alongside new cast members such as Amanda Seyfried, who plays the new love interest of John Bennett (Mark Wahlberg), along with Morgan Freeman, Dennis Haysbert and Liam Neeson in unspecified roles. Check out the first one-sheet for Ted 2, arriving in theaters June 26, 2015, and stay tuned for the first trailer debuting in just a few short days.